Offering the best general and cosmetic dentistry in Charlotte! We offer cosmetic and general dentistry for all ages. Our team of dental professionals are committed to making your dental experience as comfortable and enjoyable as possible. Our goal is to provide exceptional state-of-the-art dentistry that is personalized to meet every patient’s specific goals. We strive to provide quality care with warmth and compassion in a friendly atmosphere.Our facility is equipped with the most advanced technology. Your initial visit to our office will include a welcome consultation, digital x-rays, digital photographs, and a comprehensive oral evaluation. Dr. Merlo or Dr. Fahrney will check for periodontal disease, oral cancer and tooth decay. 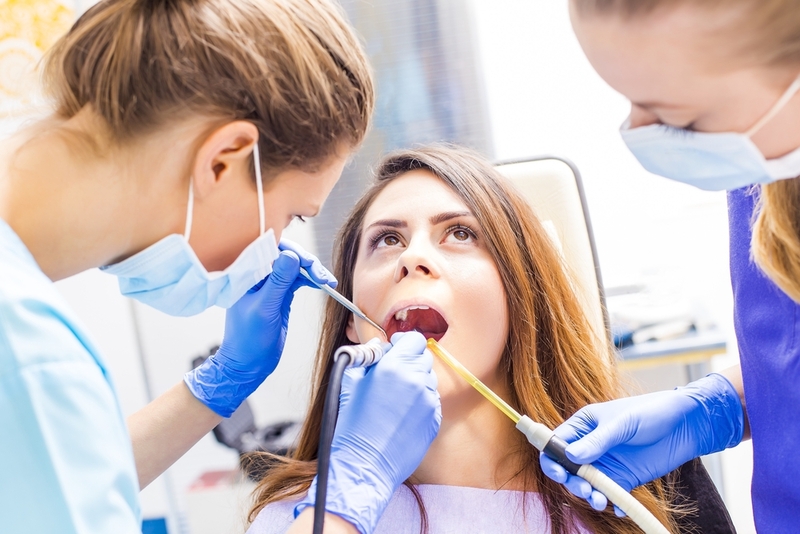 We will also take a look at your existing dental work to make sure it is in proper condition. We look forward to discussing your goals for oral health and the appearance of your smile. Tooth colored fillings have replaced the silver fillings traditionally placed to restore teeth with cavities. They are custom color-matched resins that blend in and feel like a natural tooth. 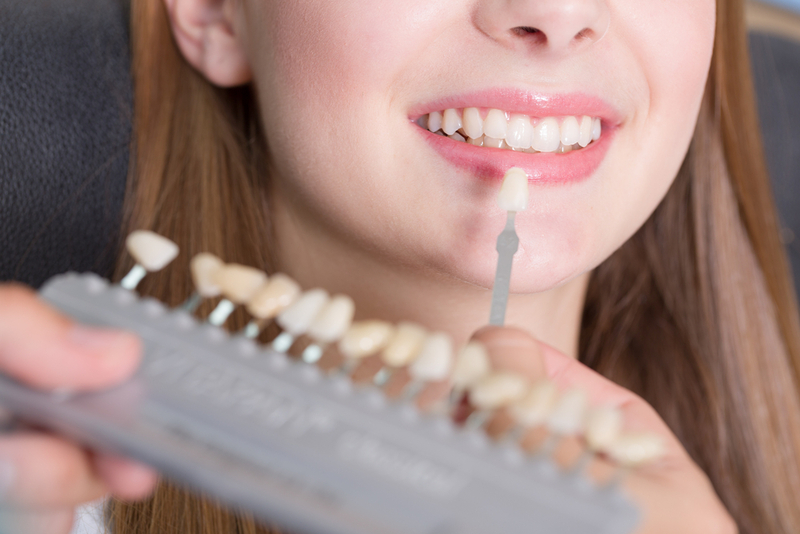 Tooth colored fillings are strongly bonded to the tooth and offer a more aesthetic appearance than the traditional silver fillings. Dental bridges are used to replace missing teeth and are made of porcelain crowns that blend in to look like natural teeth. The teeth in front and behind the gap caused from the missing teeth serve as the anchor teeth of the bridge and give strength to the bridge. 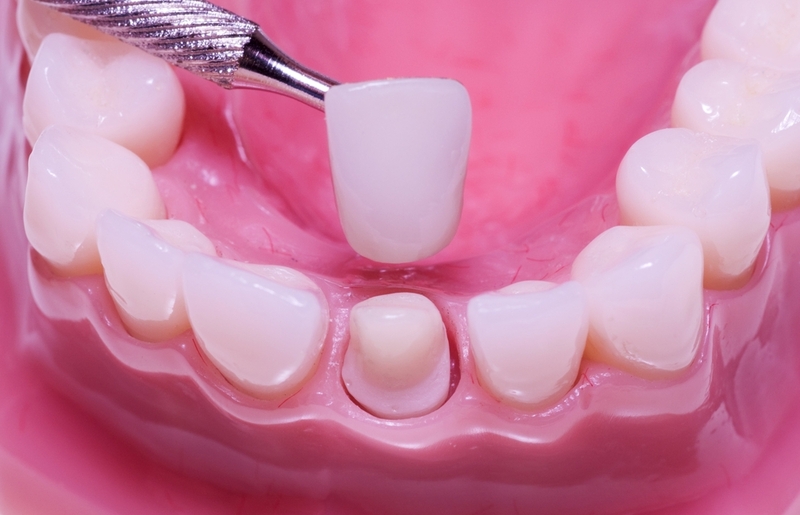 An advantage of bridges over implants to replace missing teeth is the lower cost. The disadavantage to placing a bridge is that it is less conservation than implants because due to the anchor teeth that hold the bridge will also need porcelain crowns. Dental crowns are made of all porcelain, or porcelain with a metal substructure which is needed in areas that are subject to strong biting forces. Crowns are used to restore teeth that are more extensively decayed but still have a strong and healthy root anchored to the jaw bone. Crowns are custom color-matched to the teeth and fit, feel and look like natural teeth. Inlays made of porcelain or gold are used to restore teeth with cavities and are a stronger alternative to tooth colored fillings. Inlays are placed on the top or chewing surface of the tooth and does not extend over the outer cusps. Inlays made of porcelain will be custom color-matched to blend in with the tooth. Onlays made of porcelain or gold are used to restore teeth with cavities and are a stronger alternative to tooth colored fillings. 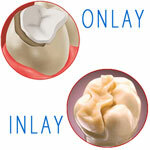 Onlays, like inlays are placed on the top of the tooth but also cover one or more cusps. Onlays made of porcelain will be custom color-matched to blend in with the tooth. Merlo & Fahrney Dentistry is one of Charlotte’s preferred Invisalign Providers. 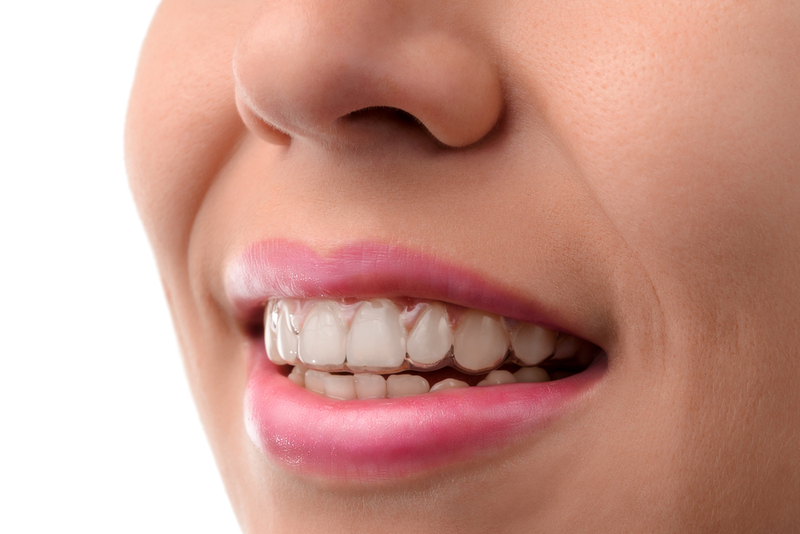 Invisalign® is a great alternative if one is hesitant to get the traditional metal braces. The Invisalign system uses a series of clear plastic trays used to move your teeth to the desired position. They are nearly invisible, and easily removed for brushing, flossing, and eating. 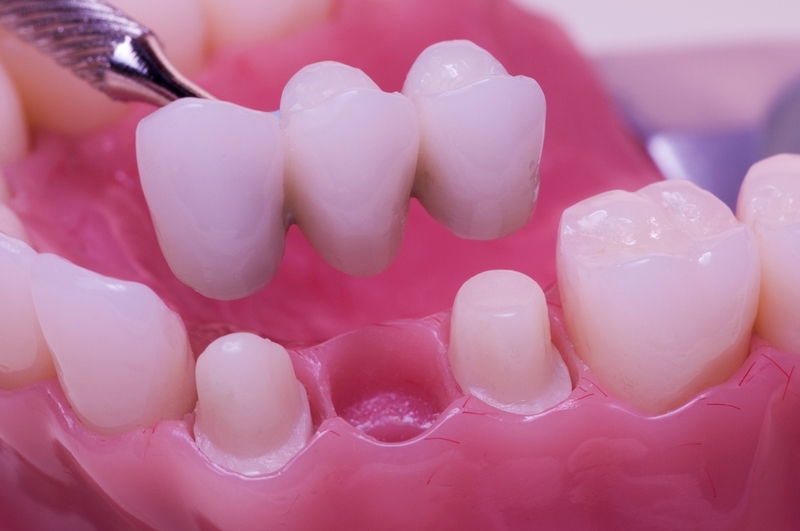 The number of trays and overall length of treatment is determined by the degree of misalignment. The Invisalign process, for a healthier, more beautiful smile! Ask about an Invisalign consultation to see how we can improve the appearance of your smile. Porcelain veneers are custom prepared thin shells that are bonded to the teeth to give you the smile of your dreams. Veneers are placed to correct discolored enamel, chipped and cracked enamel, and uneven teeth. Porcelain veneers are durable and resistant to stain. The color and translucency of the veneer custom made to your preference. 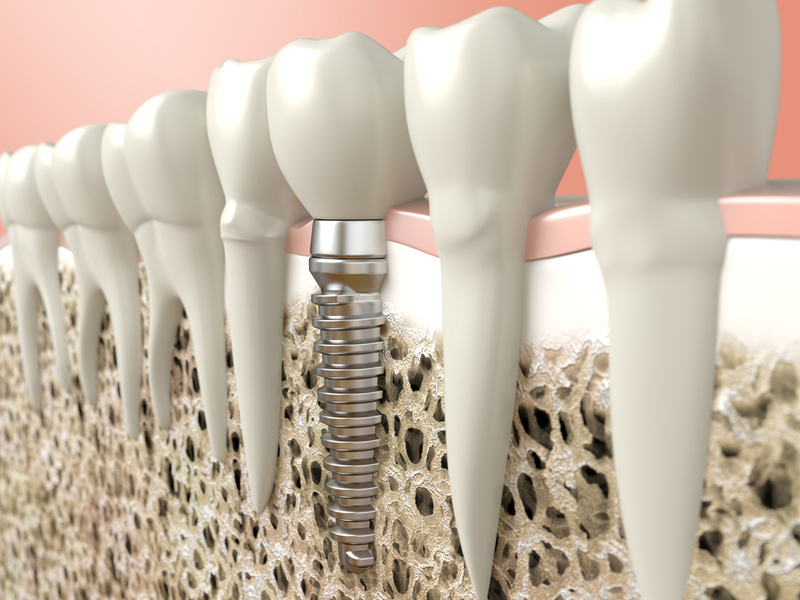 Dental implants are used to replace missing teeth and are a more conservative procedure than placing bridges since the teeth in front and behind the missing tooth are not touched. A titanium implant is surgically placed in the jaw bone to act as the root of the tooth. An aesthetic porcelain crown is securely attached to the implant and looks and feels like a natural tooth. Bonding is an option to correct small chips and cracks. The bonding procedure is a convenient solution as it is a one visit appointment. The material used to restore the teeth is a resin which is custom colored to blend in to match the shade of your tooth to look completely natural. Whether your teeth are discolored from aging, coffee and tea staining or smoking, they can be whitened and brightened to your desired level of whiteness. A tooth evaluation will determine the best procedure to be used to whiten. The Sapphire Whitening System!® whitening procedure is a process that takes about half an hour and involves a gel that is applied to the teeth which is activated by a special light, and your teeth will be whitened to your desired level at the end of the procedure. The alternate procedure of teeth whitening is the take home trays which take about 2 weeks to achieve the desired tooth whiteness. Custom made trays hold a whitening gel that the patient dispenses and wears the trays for the instructed amount of time, which can be 1 hour or overnight depending on the type of whitening gel prescribed.